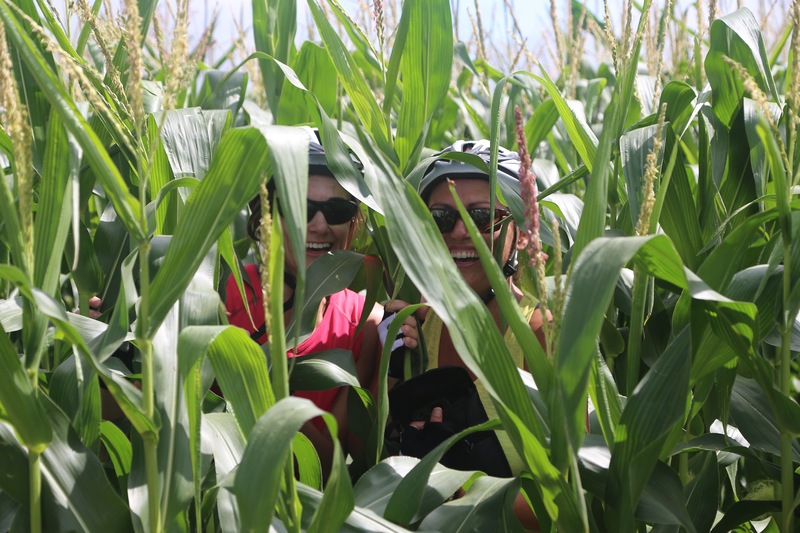 Prince Edward Island is affectionately known as The Million Acre Farm, and our routes will have you cycling through a riot of colour: verdant pastures that stretch out to scarlet cliffs, which drop into azure waters. 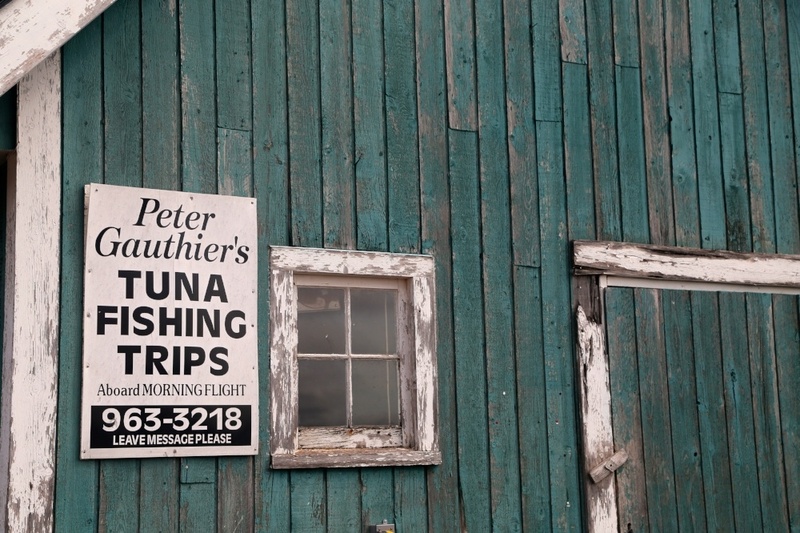 Experience one of Canada’s national treasures: our tiniest province. 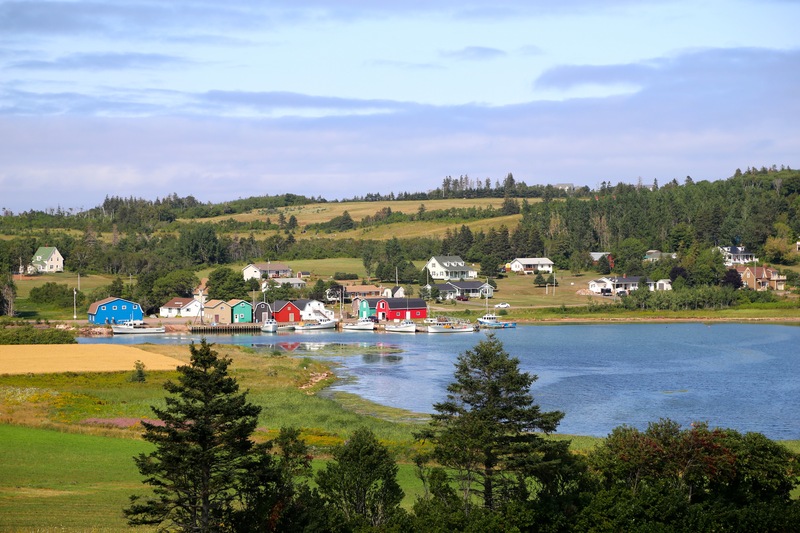 Known to many as the setting for Anne of Green Gables, this island is made for touring. 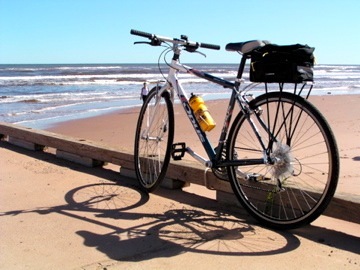 You will experience red sandstone cliffs, scenic fishing villages and towering sand dunes as you cycle the island from one side to the other. 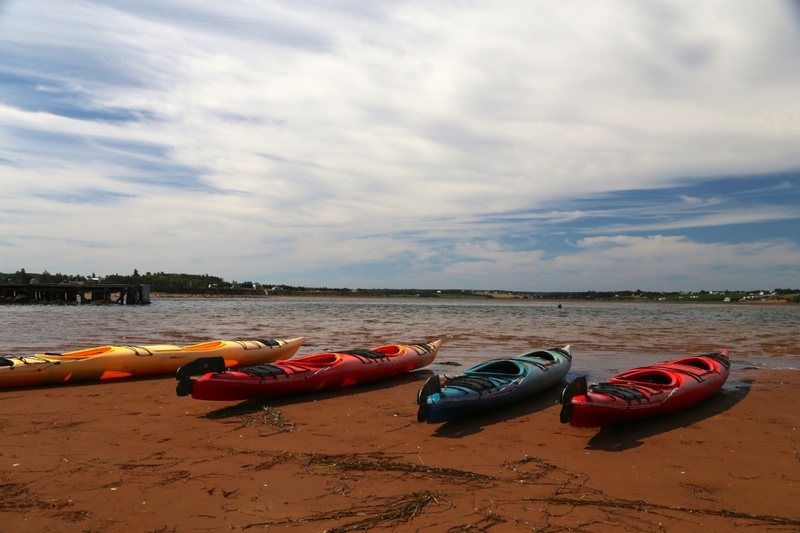 As with every Pedal & Sea Adventure, you’ll spend every night at a fabulous country inn, and feast on of Prince Edward Island’s famously fresh foods: potatoes, strawberries and— of course— lots of seafood. We’ll taste the very best that the island has to offer, and that's saying something. 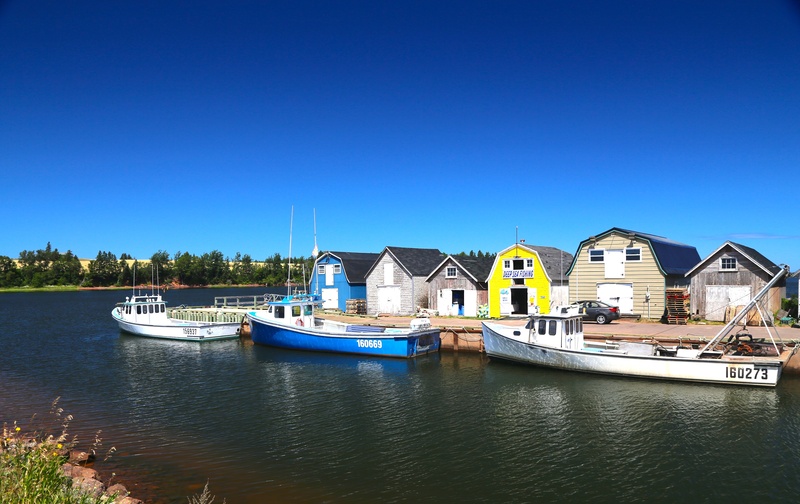 This cycling tour starts in Mill River and winds its way through Malpeque Bay and past the Bay of St. Lawrence, to the most easterly point of the island. 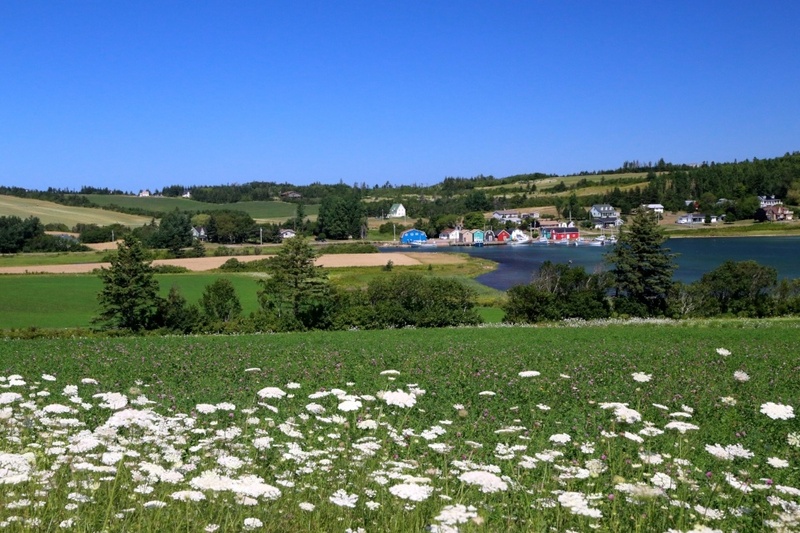 On the way, we’ll pass through lovely villages, including Cavendish, North Rustico, Brackley Beach and Stanhope. 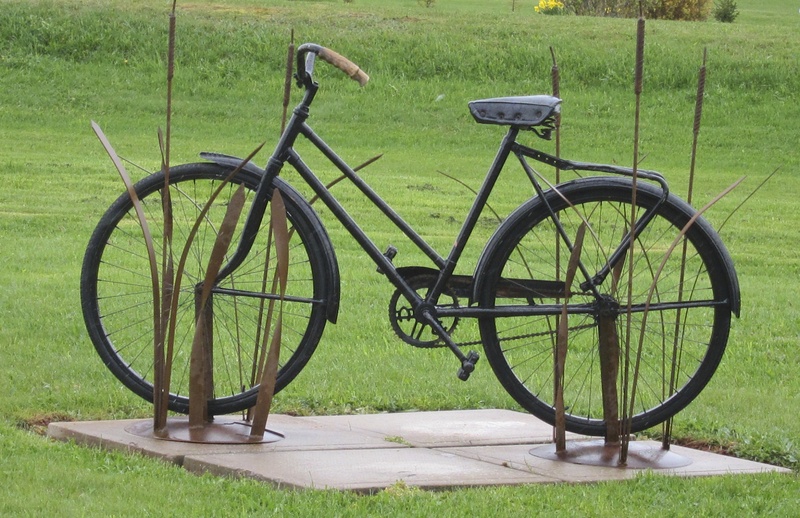 The tour is designed to appeal to all levels of cyclists. 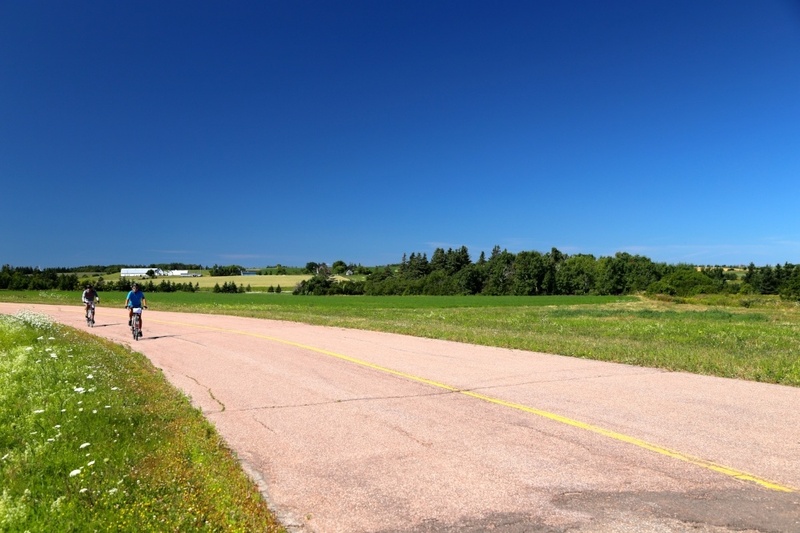 P.E.I.’s highest point is only 400 feet above sea level — beginners don’t have to worry about being unprepared, but there’s still plenty to challenge more experienced cyclists. 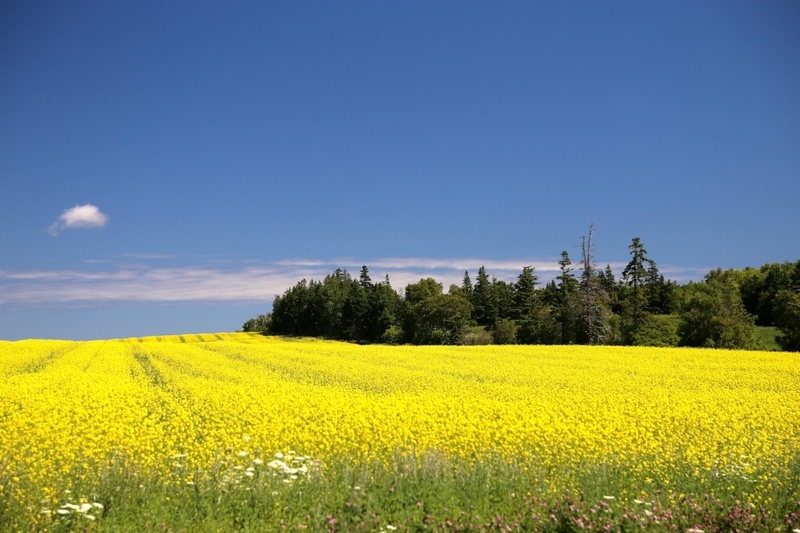 A 9 am pick up will have you in our van and quickly outbound from Halifax to Mill River, P.E.I. and the start of the tour. Once in Mill River, we’ll adjust your bikes, and you’ll soon be off on a peaceful afternoon jaunt. This lovely ride will be a harbinger of delight, and the the start of a glorious week touring a gentle countryside that will touch your heart often. We’ll arrive at our inn early, and you’ll have ample opportunity to settle in before the welcom dinner. Lodging: Mill River Resort, Mill River. 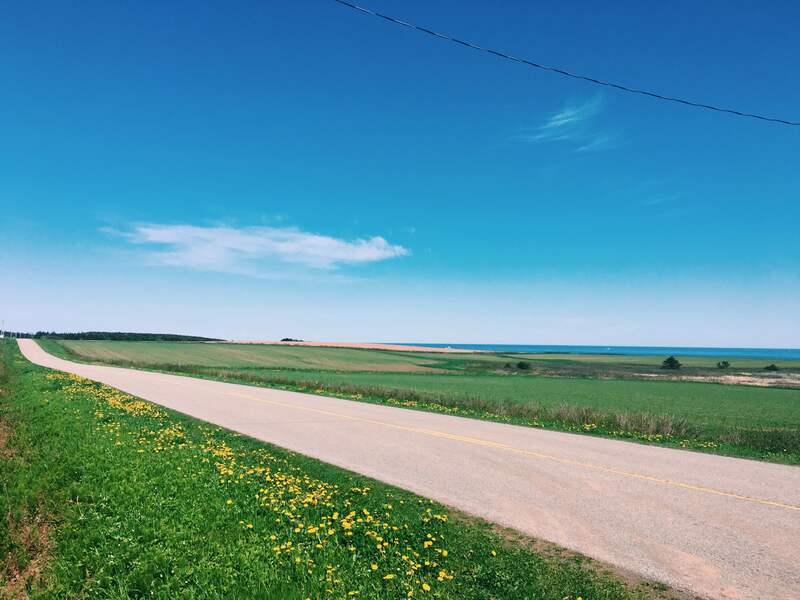 Today’s bicycle ride flows along the rolling farmlands and picturesque fishing villages of Prince Edward Island’s North Cape Coastal drive, home to some of the island’s largest potato farms. 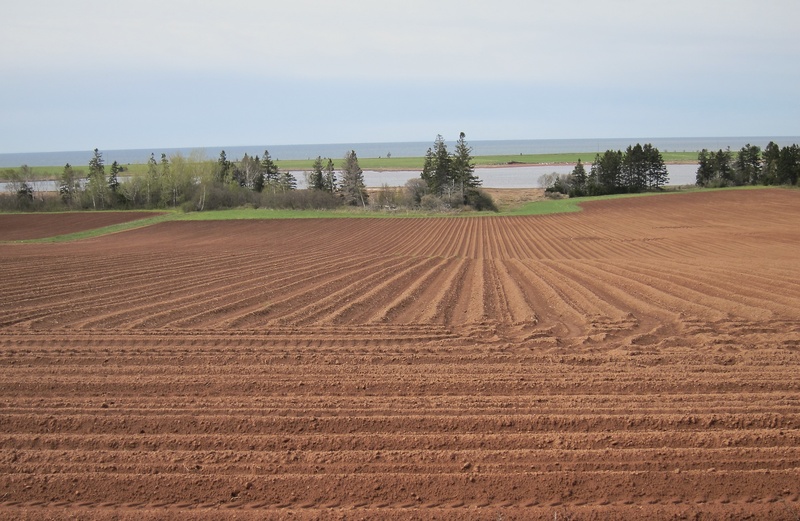 The humble potato loves the island’s rich, red clay soil, so you’ll see verdant potato farms everywhere. 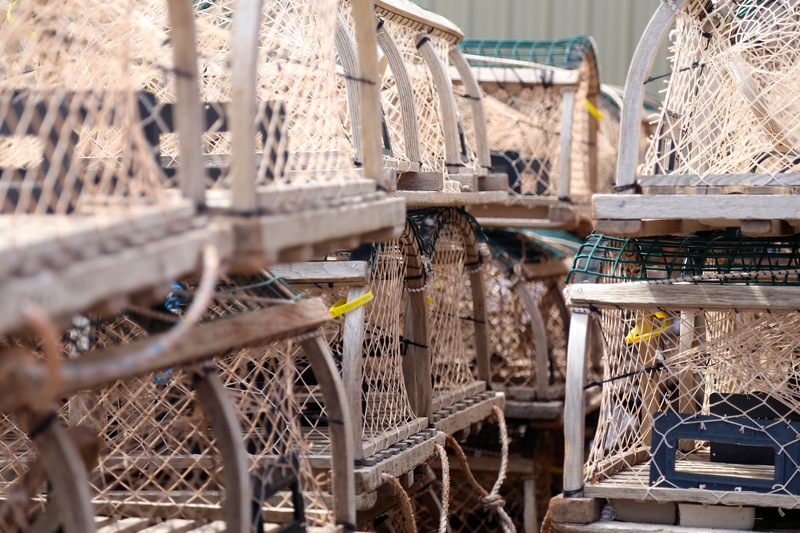 But, keep an eye out for oyster fishermen and women working their nets in the island rivers. 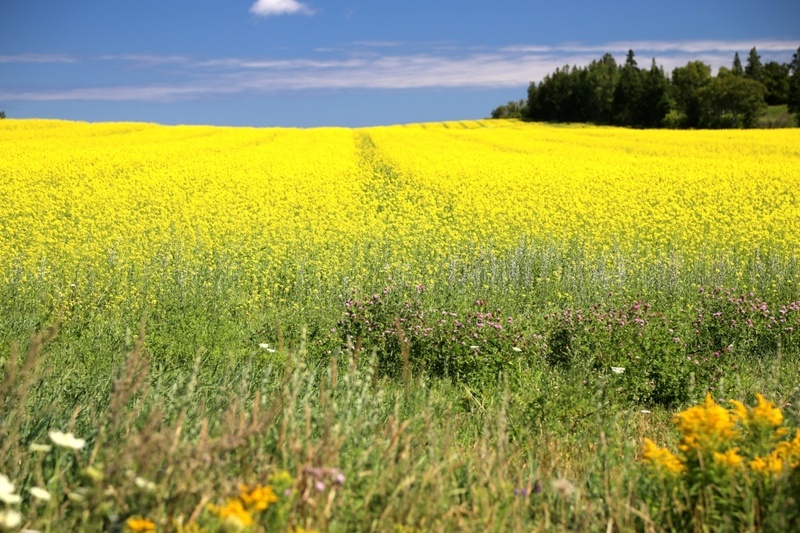 Prince Edward Island may be the smallest province in the world’s second largest country, but its bounty from land and sea is both famous and prized throughout the culinary world, from New York to Tokyo. Lodging: Loyalist Country Inn – Summerside. 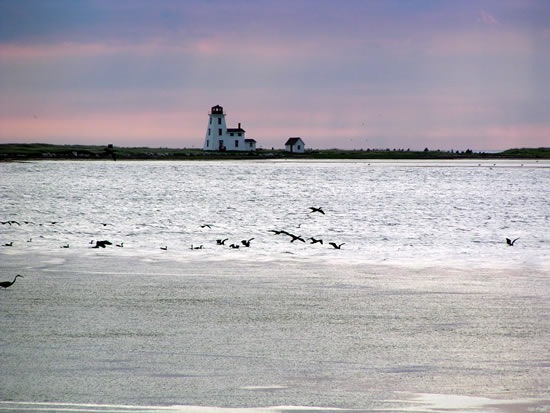 After a wonderful breakfast, you’ll head north out of Summerside towards Malpeque Bay and the Gulf of St. Lawrence. The blue slate of water will be punctuated with colourful fishing boats being manned by those busy catching your dinner for the evening. 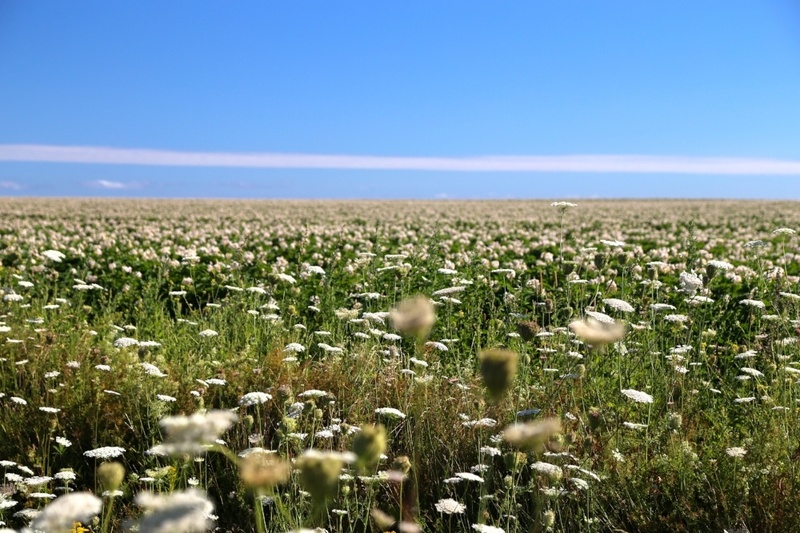 Our destination is Cavendish — a humble hamlet of less than 100 souls — that inspires pilgrimages throughout the world, especially among the Japanese, because it's the home of Lucy Maud Montgomery and her famous red-haired heroine, Anne of Green Gables. After your ride, a swim is in order: The beaches here are washed by the Gulf Stream, and the water is refreshing. Another delicious dinner will be your reward for the day’s pedal. Lodging: Kindred Spirits or Stanley Bridge Country Resort. Today’s gentle spin takes you into P.E.I. National Park, and you'll soon be riding along the fabulous red sand cliffs of Orby Head and Cape Turner — a lovely ride! You’ll have time to take some photos as we move on toward North Rustico and then Dalvay Beach, your home for the night. Today’s ride is purposefully short, so you can spend the afternoon at Dalvay, just a hop, skip and jump from your inn. Locals will tell you this is one of Eastern Canada’s best beaches. Lodging: Dalvay by the Sea. Our ride today will take us to St. Peters Bay. 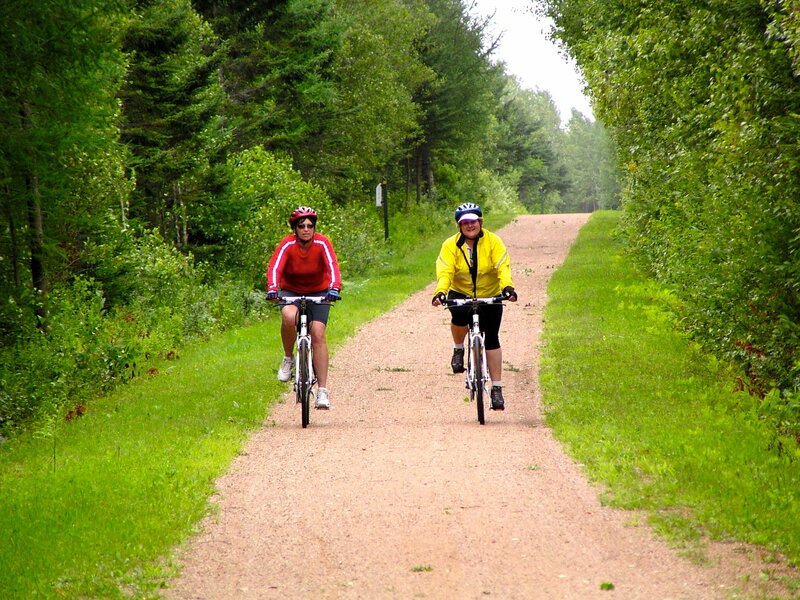 Part of the journey can be along the secluded Confederation Trail, where the only traffic you might encounter might be a long-legged heron or an inquisitive squirrel or otter. The ride’s tranquility will be extended into the evening hours thanks to the award-winning inn where you’ll rset tonight — a place of peacefulness and beauty. Lodging: Inn at St. Peter’s. We’ll make an early start today en route to the East Point Lighthouse and the completion of your journey. A final lunch together will offer you one last chance to enjoy Prince Edward Island’s peaceful beauty before you set off on your journey home.